Do you know what Amazement is? 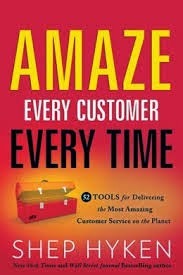 A couple months ago, Shep Hyken sent me his latest book, Amaze Every Customer Every Time: 52 Tools for Delivering the Most Amazing Customer Service on the Planet. I'm making my way through some great books on my bookshelf, and today I'll share some amazing tools and learnings from Shep's book. I thrilled that Shep chose to write about Ace Hardware. I've always loved Ace (I hated the day my local Ace closed/relocated) and believe they truly live up to their slogan: "Ace is the place with the helpful hardware folks." I was excited to dive into this book and was not disappointed. The book contains so much insightful detail about how you can amaze your customers, and so, as you can imagine, I was really torn on which tools to write about - there are so many. Shep compiled quite the comprehensive collection of tools that drive an amazing customer experience. In the end, I decided to focus on the chapter (Culture) that outlines tools to help companies to create a service culture. How do you get to that point? 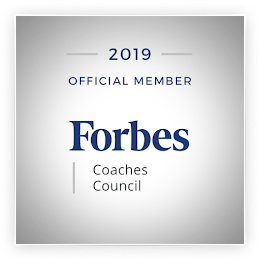 Your culture, your employee experience, and your workplace in general are drivers of how well you can deliver an amazing customer experience. I'm a huge fan of putting the employee more first to ensure the customer is front and center at all times. That will be come clearer as I briefly summarize the 13 tools Shep details to create an amazing culture. 1. To be the best place to buy, be the best place to work: This concept is a great way to summarize what I just said about putting the employee more first. There is a ton of data to support that the employee experience drives the customer experience. Shep writes about being amazing from the inside out and not saying one thing and expecting or doing another. To that point, Ace employees experience helpful before they are expected to be helpful. Great approach! 2. Don't take the easy way out: Do the little extras. Pay attention to the details. Do the things your competitors probably won't do for customers. Create Moments of Magic, as Shep calls them. 4. Defend the culture: When we see another employee step outside the line of the customer-centric culture, graciously and politely step in to assist. You might actually be teaching the employee something he didn't know was acceptable. 5. Shift your vocabulary: This is one of my favorites. Words are so powerful. By choosing to say the right thing or using a different tone, by changing our words, we can change feelings, relationships, and the way we do business. 6. Adopt a customer-first mindset: Delivering an amazing customer experience is everyone's job, regardless of title. Shep provides a great example from Disney of the three "jobs" every employee at the park has: the job he was hired to do, taking care of the guest, and keeping the park clean. 7. Celebrate uniqueness: Recognize that everyone is unique - personality, background, experience - and that that uniqueness is what makes each individual special. Everyone brings a different perspective to the table, allowing for growth. And in the case of Ace, it certainly helps with the local/community feel that each Ace location is allowed to operate under. 8. Great ideas come from everyone: Similar to, or perhaps because of, that uniqueness, don't be afraid to open up to everyone in the organization to solicit ideas for the business, in Ace's case, for being helpful and for solving problems. 9. Consistency: Consistency means offering quality products and service every day - in such a way that it creates confidence in your customers' minds, a confidence of predictability. Personally, this is what I like about Ace. I know that, every time I shop there, someone's going to walk up to me, greet me, and help me find exactly what I'm looking for. 10. Storytelling: Stories are what legends are made of. At Ace, the culture is driven by storytelling, by sharing stories of how someone has been helpful with a customer. Stories that support the culture are self-perpetuating, inspiring others to do the same. 11. Being a committed learner: Knowledge is power. Find a subject that you're passionate about and learn everything you can about it. I'm always amazed at how much Ace employees know. These guys are passionate about what they do and learn all they can about the topic; this effort is supported by Ace, which supports continuing education programs. 12. Mentoring: Take new employees under your wing and teach them the ropes. What better way for them to learn and to quickly assimilate into the culture. 13. Starting over: Great way to end this chapter - you're only as good as your last customer. Once you've served that customer, and he's happy, the next one is going to come into your establishment, and you begin the process of helping that customer all over again. No matter how good you think your reputation is, you need to earn/re-earn it one customer at a time. I thoroughly enjoyed this book. Lots of practical tips and real-life examples of the tools that Shep outlines. They really help to put it all into context, and I have a greater appreciation for the Ace brand and for how they come to deliver the amazing service they deliver every day. Thank you Annette! I so much appreciate your kind words about the book. And you picked out some of my favorite "tools" to share with your readers. I chose Ace for a several reasons. First, they are a rock star in customer service. They win awards and are recognized by industry and general publications for their success and customer service. Second, they have BIG competition, yet seem to not just survive, but thrive in the marketplace. Third, nobody has written a book that features them like this. There are books on Zappos.com, Starbucks, Nordstrom, Apple, etc. It was time to get the word out about this solid-as-rock, customer focused company. Thank you again, Annette. Always be amazing! Thanks, Shep. I love that you chose Ace. They are definitely of the same caliber as the brands you list, and certainly deserve their own book! I really enjoyed the book, and I know others do/will, too. Great review Annette. I love the fact that Shep shines the light on Ace. What a wonderful and relatable example. I love #9. Anyone can create WOW, but consistency is absolutely key. You've got to live it and bring it every day. Thanks, Stan. I agree... very relatable. You absolutely have to live it and bring it! Not sure yet which is my fav, but #3 is definitely near the top. Delivering an amazing customer experience is absolutely an awesome responsibility. Thanks for the shout out for the interview that I did with Shep and you point to a great story. The thing that I really like about Shep's book is that it is a very full toolbox, that allows firms to pick the right tool for the right job. Thanks for sharing that interview, James.